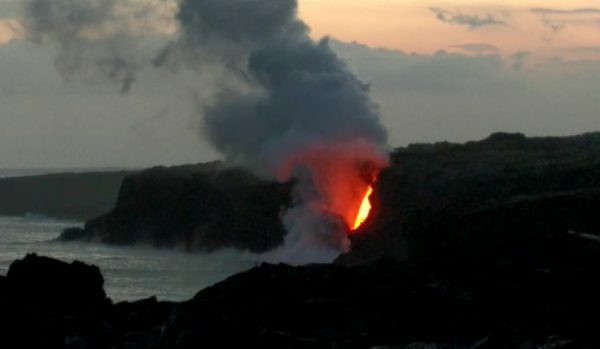 UPDATE: Kapoho tidepools were completely destroyed by lava flow. In the Puna (southeast) District of the island, lava flows have been not infrequent. 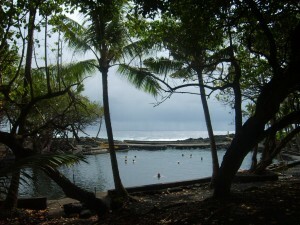 The result of earlier flows is the Wai Opae tidepools in Kapoho-a series of interconnected pools with fish, turtles, eels and coral of many colors. A large reef 1/4 mile offshore breaks all the waves, and so the pools are always glassy calm-allowing even novice swimmers and snorkelers safe paddling. There is no beach, only stretches of lava rock on which to set your towel–but you’ll be in the water most of the time anyway! 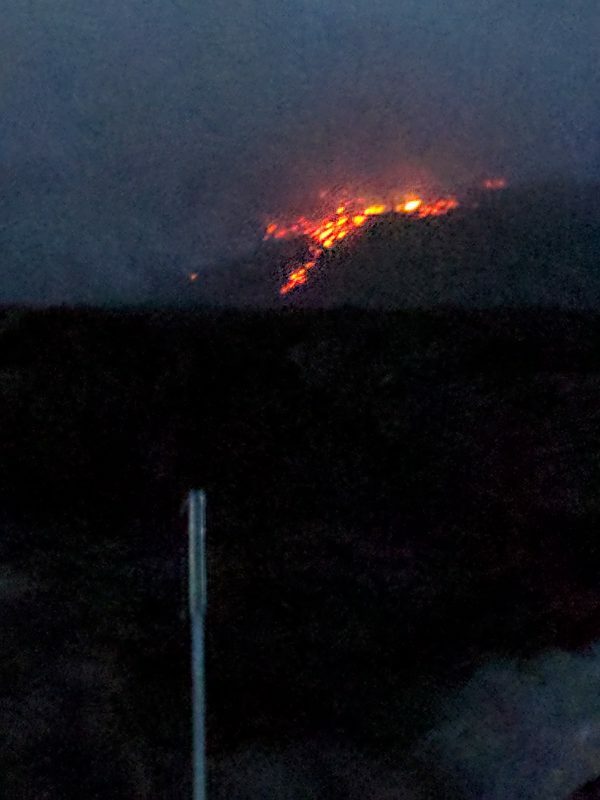 At night, you can see the glow of lava flow off to the southwest. 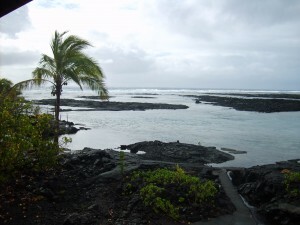 On our first trip to Big Island, we rented an ocean front (tidepool front) home for $100/night. What a bargain! As the tide comes in, you can go out into one of the outer pools, and “ride” the flow inward across a narrow channel. The seafloor drops away as you cross, and it feels like skydiving. It’s a cheap thrill! Further down the road toward Kalapana is the Ahalanui Beach Park. 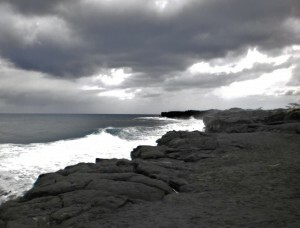 It is a geothermically heated pool of fresh and sea water. Locals swear by its healing properties. The local doctors know that the warm waters are a perfect bacteria growing medium…….and having seen some NASTY skin infections on the users…..I won’t go in there…..
UPDATE: The Red Road was mostly destroyed by lava flow, but you can still access Kalapana and Uncle Roberts by following Hwy 130 to Kalapana. 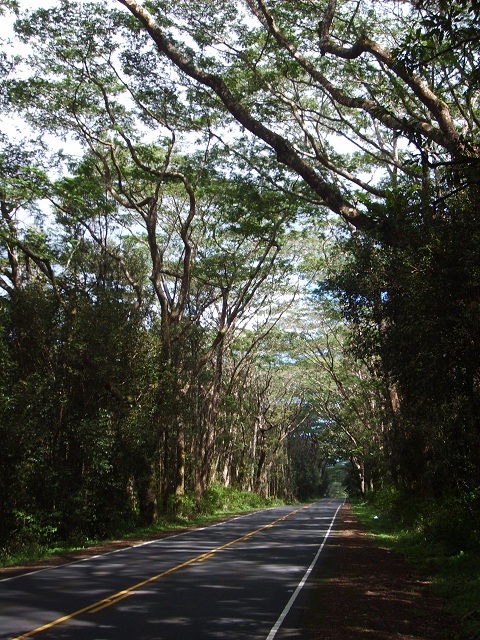 After your snorkeling adventure, continue down the Kapoho-Kalapana Road (also known as The Red Road–because it used to be red from the clay used as building material. Alas, not “red” now– just asphalt…). You’ll pass Isaac Hale Beach-a local’s hangout, Mackenzie State Park, Kehena Beach (leave your inhibitions-and your clothing-at home….) 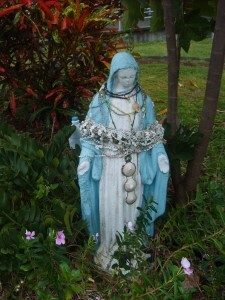 and end up at Kalapana Village. This is the end of the road because the lava has overrun it…..
Get there early and hike out to one of the newest black sand beach on Big Island, created when the hot lava hit the cool seawater and exploded into new sand. Just to the west, the few remaining homes are still threatened by the lava flow. That red flow off the cliff is called “the fire hose” and is estimated at 15 meters diameter. We um….didn’t want to get any closer than we were. 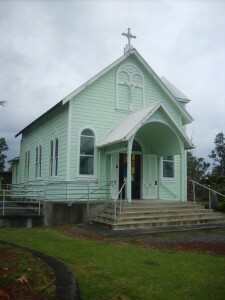 Head back toward Pahoa on Highway 130, but stop at Star of the Sea Painted Church. 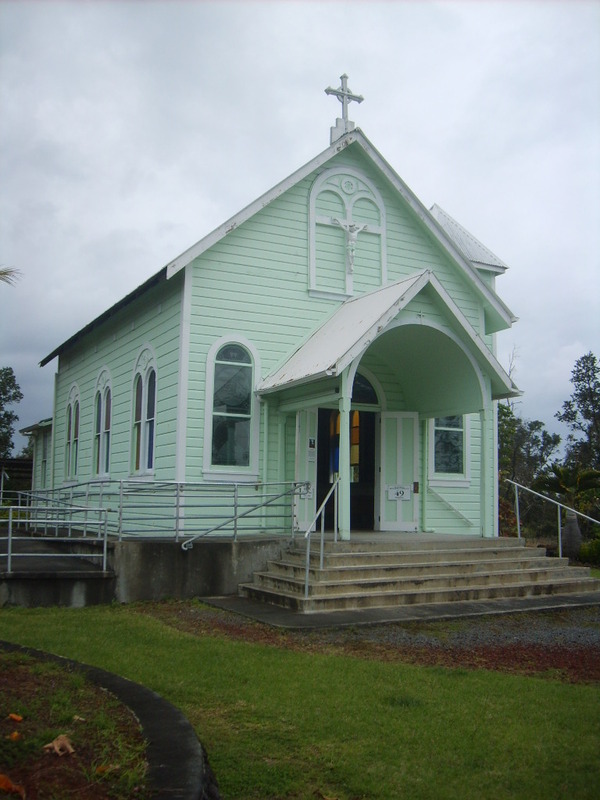 This church was founded by Father Damien of Molokai Leper colony fame. 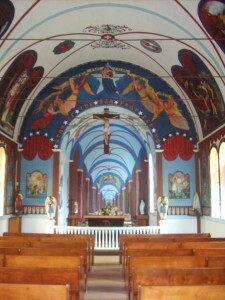 The current church building was constructed in 1927. 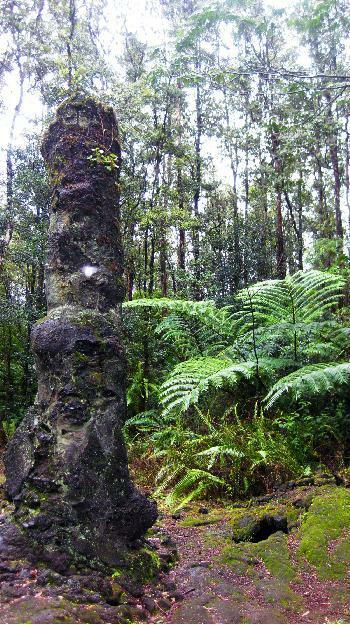 Threatened by the lava flow of 1990, the local residents lifted it off its foundation and moved it 1/2 mile inland. 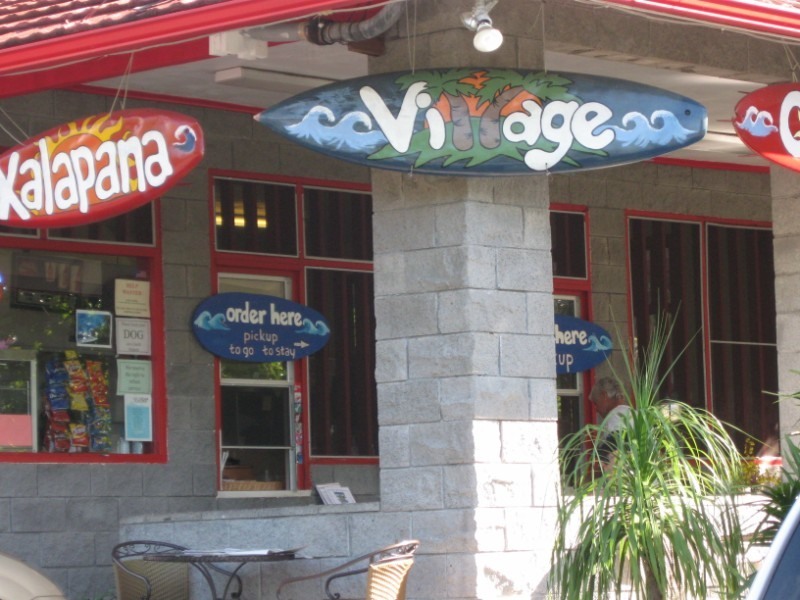 You’ve worked up an appetite, so head to Pahoa, the nearest village. 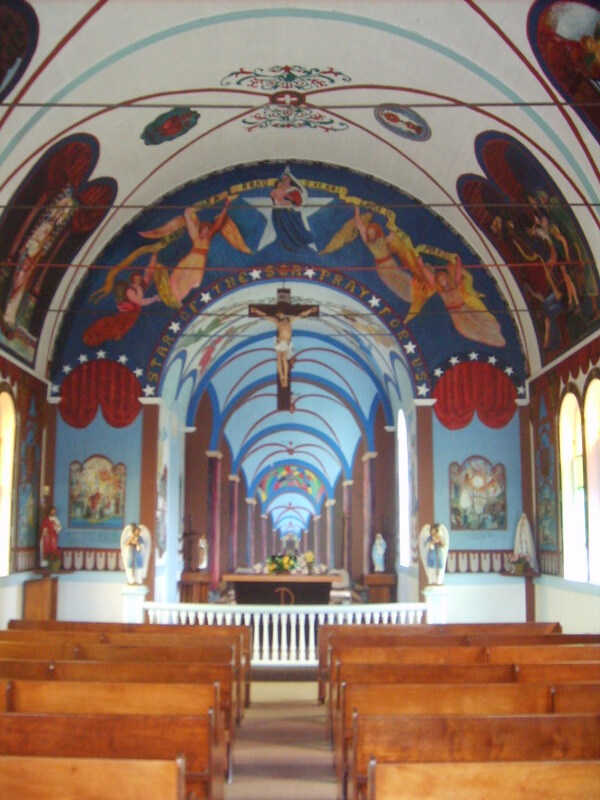 Some good, and some great…..and some barely passable…..restaurants. We like Kaleo’s-pricey but very good.